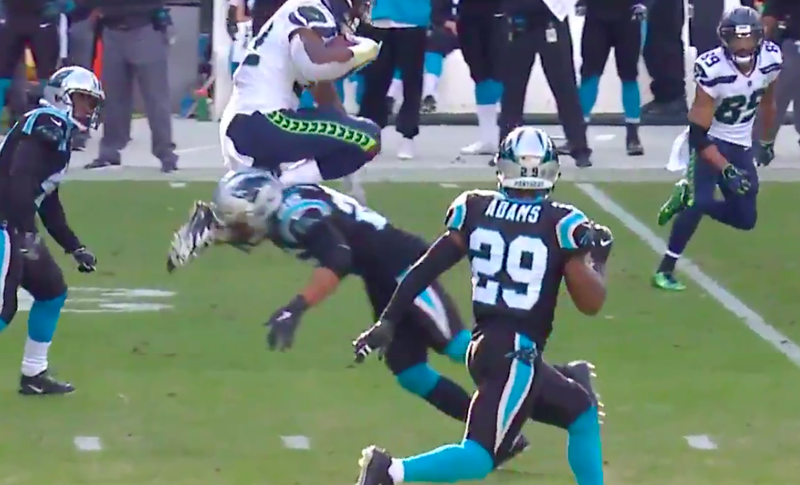 Superhero flip wows NFL football fans! Fans saw a backflip during an NFL game. You would want to see how he lands on his feet! Seattle Seahawks running back Chris Carson was tackled in his team's 30-27 victory over the Carolina Panthers on Sunday. However, a tackle did not stop him from doing a flip to carry on running. He was tackled but made a 360-degree flip, probably scaring his mother, remarkably landing on his feet and carries on running. Wow! If only he would have run for a touchdown after but it was only seen as an amazing save. What weird sporting moments can you remember? Let Martin Bester know in the comment section.